Kids above 2 years can control their urine during daytime. They sometimes become reluctant to wear diapers as they feel grown up, so they resist wearing regular diapers. 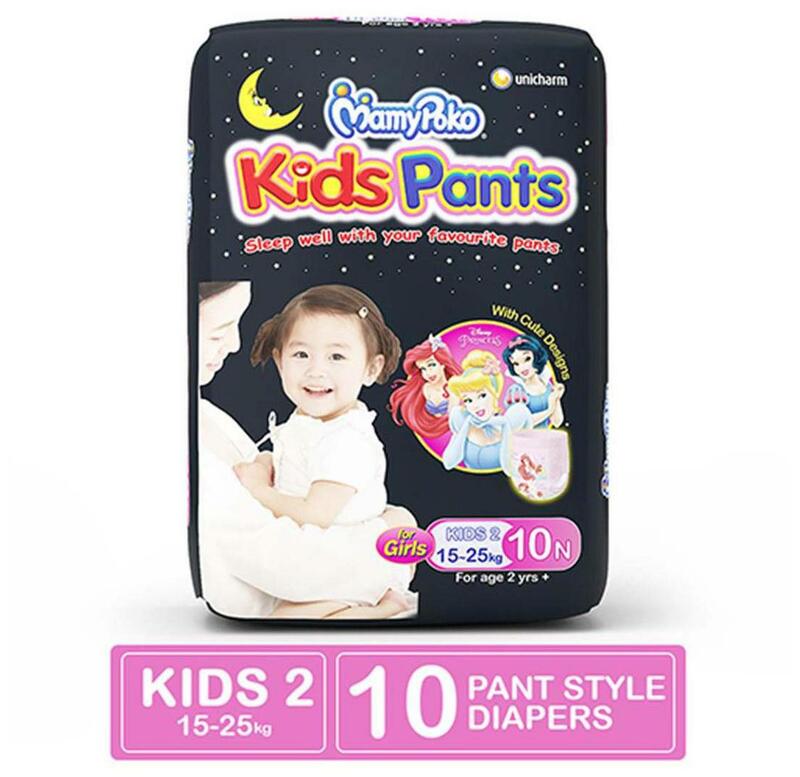 We have developed Kids Pants considering the fact that kids may feel irritated if the baby diapers are used on them , that is why Kids pants feels just like underpants, which your child will be happy to wear. These favourite design pants from the house of MamyPoko are for growing child's need, designed for children above 2 years.